Last week we gave you an overview of how a bill becomes law in Texas. Now that you know how the process works, here’s a status update on some important bills as they make their way through the legislative gauntlet in Austin. It’s important to understand how the system works because lawmakers often use the built-in deadlines to torpedo legislation they don’t like without having to take an on-the-record vote. This trick allows politicians to avoid explaining to their constituents why they are not voting as they promised they would on the campaign trail. Savvy political activists and concerned voters who are paying attention to the bills they care about are able to hold their legislators accountable and not get hoodwinked with a “time ran out” excuse. STEP ONE: BILL IS FILED. Over 7,000 bills and joint resolutions have been filed in the Texas legislature this session. The deadline to file bills expired Friday, March 8, 2019. If we haven’t tracked a bill you care about, you can find the status of all bills working through the Texas legislature here. STEP TWO: BILL IS ASSIGNED TO A COMMITTEE. When a bill is first introduced on the House or Senate floor, the caption of the bill is read, after which the bill is immediately referred to a related committee. If the bill is passed in committee, it moves to the next step. House Bill 3576, which would require voter registrars across the state to actively maintain voter rolls, has had a hearing but is still waiting for a vote in the House State Affairs Committee. House Bill 850, which would amend the state labor code to prohibit discrimination on the basis of sexual orientation, gender identity or expression, has had a hearing but is still waiting for a vote in the House Business & Industry Committee. Senate Bill 151, which mirrors House Bill 850 but also adds criminal penalties, has been referred to the Senate State Affairs Committee but has not yet had a hearing. STEP THREE: BILL IS SCHEDULED FOR A VOTE. Citizens should pay close attention to this step. Many bills die because they languish waiting to be scheduled for a floor vote — by the Calendars Committee in the House or the Intent Calendar in the Senate — despite receiving approval in a committee. Bills related to reforming Texas’ property tax system, House Bill 2 and Senate Bill 2, have passed out of their respective committees. The House version has been scheduled to receive a vote this Thursday, April 11. The Senate version is waiting on the Intent Calendar. Likewise, bills to ban taxpayer-funded lobbying, House Bill 281 and Senate Bill 29, have passed out of the State Affairs Committees in their respective chambers. The House version is waiting on a vote in the Calendar Committee, and the Senate version is waiting on the Intent Calendar. STEP FOUR: THE BILL IS DEBATED, AMENDED, AND VOTED ON. Once the bill comes to the floor for a vote, the bill’s caption is read again before the full House or Senate, the bill’s author makes an introductory presentation about the bill, and the bill is opened for debate, amendments, and eventually a vote. 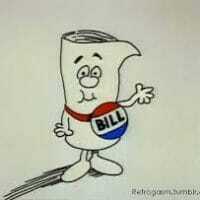 STEP FIVE: THE BILL MOVES TO THE OTHER CHAMBER AND REPEATS THE PROCESS. House Bill 3, which relates to school finance reform, passed in the House and is waiting in the Senate Education Committee. Senate Bill 17, which prohibits religious discrimination by a state agency against an applicant for, or holder of, an occupational license has passed in the Senate and is now waiting for a hearing in the House State Affairs Committee. Senate Bill 702, which would require local government entities to disclose how much money they have spent on taxpayer-funded lobbyists as well as the recipients of those funds, has passed. This bill is waiting for a hearing in the House State Affairs Committee. House Bill 1 and Senate Bill 1, the Appropriations Bills, aka the budgets, have passed in both the House and in the Senate, but they are several billion dollars apart. A conference committee will be established to work out the differences. When they agree on a final budget, it will be sent back to both chambers for final approval before proceeding to the governor. STEP SIX: THE BILL IS SENT TO THE GOVERNOR’S DESK WHERE IT MAY BE SIGNED, VETOED, OR IN SOME CASES, BECOME LAW WITHOUT BEING SIGNED. The legislative process shouldn’t be cloaked and mysterious to citizens. Legislators shouldn’t use deadlines and jargon to shirk the promises they made to voters. Grassroots activists armed with knowledge about calendar deadlines can more expertly navigate and impact the activity in Austin. Watching the clock and urging action is critical to any plan to achieve victory. If there’s a bill you care about or would like to see amended, contact your representatives in Austin and encourage them to act quickly before time runs out! Don’t know your representatives? You can find them, along with their phone numbers and email addresses, here. Our How It Works series pulls back the curtain on the inner-workings of state government by identifying who’s involved, defining what they do, and explaining the motivations behind their actions.